We Inspire, Support and Delight our customers, when expressing life's most important moments! 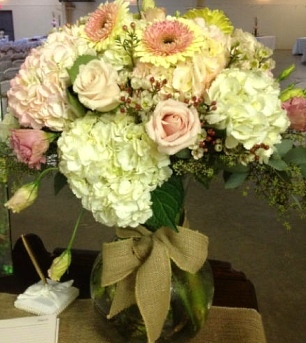 Flowers from CURRY'S NURSERY & FLORAL will make any occasion special. Proudly serving the Three Rivers, Texas area since 1986, we're a full-service local florist that is family-owned and operated. Our knowledgeable staff is ready to assist you with placing orders for local delivery or anywhere in the world. Not sure what to send? We'll gladly help you with creative suggestions! For your convenience, we offer daily floral delivery to local funeral homes and hospitals. We hope you enjoy your online shopping experience with secure 24-hour ordering right at your fingertips. If preferred, you may call us to place orders direct at 361-786-9921 or 1-877-786-9921. You can always depend on us to help you with ordering flowers for the funeral of a friend or loved one. We will design and deliver a funeral arrangement that beautifully conveys your expression of sympathy and serves as a lovely memorial to the deceased. 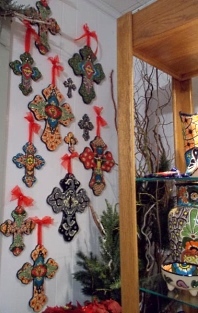 We also offer beautiful Sympathy throws and crosses from the artisans of Manual Woodworkers & Weavers. Call and ask about an add-on gift for your floral order. Order custom, one-of-a-kind Wedding Flowers and Party Flowers from CURRY'S NURSERY & FLORAL. Large or small, formal or casual, we will ensure your special day is a blooming success! Call us in advance at 361-786-9921 or 1-877-786-9921 to set up an appointment for a consultation. Inside the flower shop, you'll find pots of decorated plants, silk flower arrangements, Leaning Tree and Marion Heath Greeting Cards, stuffed animals from Gund, First Main, and Ganz, Colonial Candles and handmade candles from The Alchemy Factory. 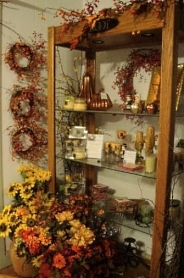 We have home décor and collectibles from Raz and Willow Tree and much more! Browse our assortment of large Dish Gardens, Green Plants & Blooming Plants for a gift that adds life to any room, office or outdoor space. Stop by CURRY'S NURSERY & FLORAL today! Established in 1986, our start was a modest one as a produce stand that continued to grow, expanding into the bustling retail nursery and flower shop that exist today. Located on the north end of Three Rivers, we also serve the City of George West and surrounding Live Oak County, in addition to the outlying cities of Tilden and Pawnee. We are professionally associated with the Three Rivers and George West Chambers of Commerce, the Society of American Florists, Texas State Florist Association, the Greater San Antonio Better Business Bureau, and the National Federation of Independent Businesses. Call or visit us today… we look forward to meeting you! Thank you for visiting our website for flowers delivered fresh from a local Three Rivers, TX florist and easy online ordering available 24 hours a day.